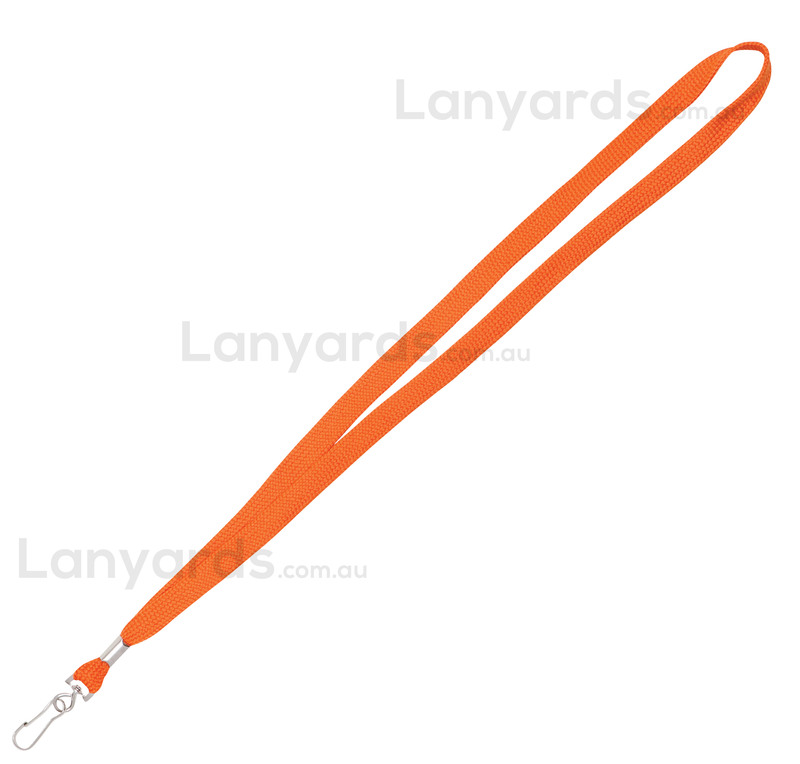 Orange Lanyards work well as visitor lanyards for added security. We carry these in stock so we can ship same day for you. If you've been caught short for that next event, then these orange lanyards in a 12mm bootlace style are a good choice. They come with a simple j hook for easy attachment of a card holder. You can get a printed version of this item - see item code L002-B.